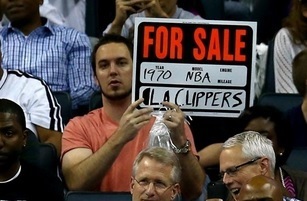 Blazer owner Paul Allen was one of the first NBA team owners to speak publicly on the recent LA Clippers owner, Donald Silverman, charges of racism over a taped conversation. Will cancelling Cover Oregon spur lawsuits? By abandoning Oregon’s failed technology and adopting the federal exchange technology, the Cover Oregon Board may have made the right technical decision, but they may have opened up a huge legal risk for many Oregonians. As Cascade’s Steve Buckstein testified at the Board meeting, the Affordable Care Act says not just once, but some nine times, that only “state established exchanges” can offer tax credits to reduce the cost of insurance on the exchanges. The federally established exchange can offer no such help, even though the Obama Administration has ignored this prohibition and granted such credits anyway. Legal: Questioning employee’s readiness to return? The Family Medical Leave Act (“FMLA”) permits employers to require a second (and in some cases even a third) medical opinion about an employee’s need to take leave, but FMLA expressly forbids second opinions once an employee has been medically released to return to work. So what can an employer do when there are ongoing concerns about an employee’s fitness for duty, but the employee insists on reinstatement and presents the medical backup to support the return to work? The Oregon Court of Appeals recently held that a business owner can pursue a defamation claim against an individual who posted a negative on-line review. In Neumann v. Liles, plaintiff, who operates a wedding venue, was the target of a review on google.com calling her, among other things, “two faced, crooked, and . . . rude.” She sued the author of the review, who had been a guest at a wedding hosted at plaintiff’s venue. A proposal to eliminate a so-called “insurance industry bailout” has received a lot of attention in our Nation’s Capitol. The proposal (S.1726), advanced by U.S. Senator Marco Rubio, aims to eliminate this provision from the Affordable Care Act (ACA), often referred to as Obamacare. But, these concepts – known as “risk corridors” and “reinsurance” – aren’t bailouts; in fact, they’ve been employed before by Congress in bipartisan fashion. The impact is already being felt. Insurance provider Humana has stated that it will likely be requesting as much as $450 million for immediate help under this ACA provision. The reason behind the risk corridor protections is simple: Congress is asking the private sector to price risk that they can’t yet measure – something anathema to an actuarial model. In order to backstop that risk, government essentially put in place “stop loss” protection to keep the companies from going bankrupt if the law fails to work. Without these provisions, the only way to cover the risk is through a wholly-controlled government system, which nobody should want. Depending on whom one asks, Bitcoin is the future of currency, a useful tool for conducting transactions with vast untapped potential, or a speculative bubble of no lasting consequence. Enthusiasm for Bitcoin also signals various commitments, as Tyler Cowen notes, such as for libertarianism and technological optimism. Bitcoin has had a big week, with Overstock.com agreeing to accept it and The Chicago Sun-Times trying out a Bitcoin paywall. The less obvious uses of Bitcoin are also intriguing. Writing at the Umlaut, Eli Dourado explains how the programming language that makes Bitcoin work opens up all kinds of possibilities, including contracts, micropayments, and proof of identity. It’s enough to convince me that Bitcoin or a successor cryptocurrency will likely be increasingly relevant and that it’s worth getting familiar with how to use it. And though I’ve in all likelihood missed my chance to strike it rich, there are far worse gambles than speculating on Bitcoin from my living room. It’s cheaper than Vegas and the drinks are better. New occupational data for 2013 was just released by the Bureau of Labor Statistics. Overall 2013 was not only stronger than previous years, since we already knew job growth accelerated, but the pattern of growth across occupations was also more encouraging. Below is an update on job polarization in Oregon, following the same methodology and sources as our research report last year. In 2013 Oregon outperformed the nation and the average state just a little bit overall but significantly when it comes to the high-wage and upper middle-wage occupational groups. This is the business cycle kicking in, or the state’s beta kicking in. 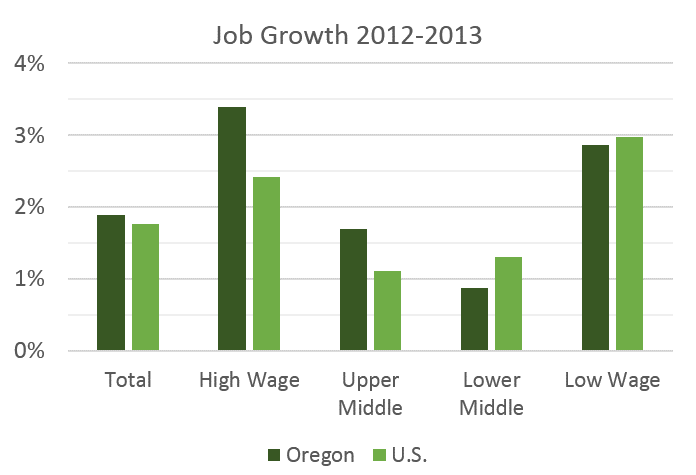 Oregon tends to outperform during expansions (and fall further in recessions) and the data show this at the occupational level, particularly among the upper middle-wage jobs. These include construction and installation, maintenance and repair occupations which are increasing with the improving economy and housing rebound but also other occupations tied more to the public sector like protective services (firefighters, police officers) and teachers. These gains are also directly tied to the improving economy and stronger cycle as public sector budgets follow the general economy, albeit generally with a lag. 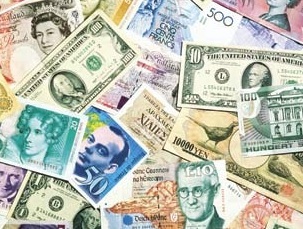 Paper currency is dirty and is a major transmitter of disease as it goes from unwashed hand to unwashed hand. It is easily lost and stolen, and can be easily destroyed by getting wet or burned. It physically wears out in a short time and is costly and troublesome to replace. So why do we still use the filthy stuff in the electronic age? When given a choice, people find credit cards, debit cards and bank account electronic payments more convenient than cash. In many parts of the world, payments can be made from cellphone to cellphone, with the phone companies serving many of the functions of traditional banks. Money can be stored and transmitted from and to almost any form of computer. Also various forms of electronic money can be made more secure than paper currency. Electronic monies and payment systems do not spread disease. 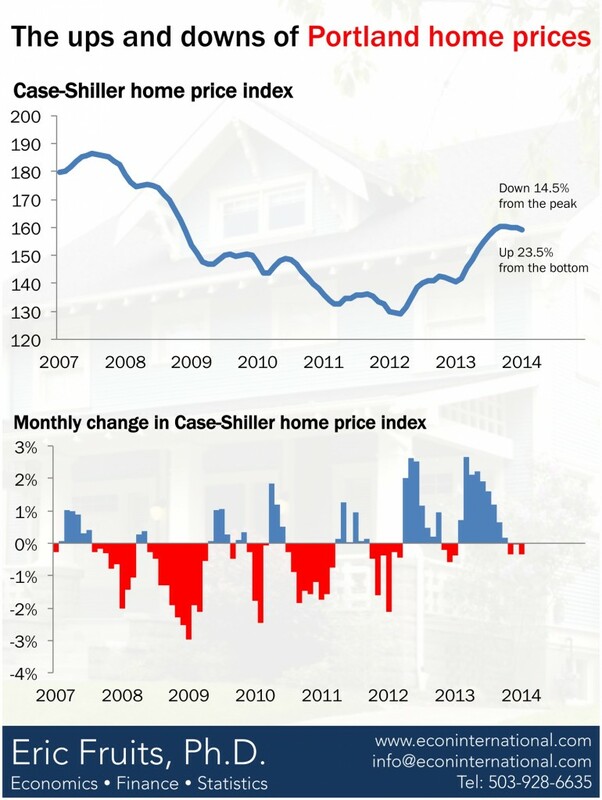 Portland home prices are up 13 percent from last year, despite seasonal slowing.